Cascade vacuum ovens are the professional choice for vacuum drying and purging of temperature sensitive materials such as pharmaceuticals, botanicals, or slurries. Our vacuum ovens liberate solvents, water, and other unwanted compounds with best-in-class temperature stability and uniformity. Our line of ovens includes a 2 cubic foot and 5 cubic foot benchtop version ideal for small batch, R&D and laboratory environments as well as a 10 cubic foot version for large batch production environments. 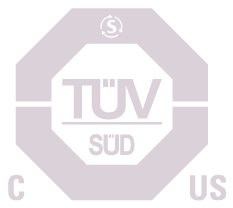 All ovens are purpose built for laboratory environments, made in the USA, and certified by the Nationally Recognized Test Lab, TUV. Where gas, moisture, or material is trapped in the product. Unlike other mass-produced vacuum ovens, Cascade’s vacuum ovens provide superior temperature control to minimize overshoot and maintain temperature stability during purging, and vacuum outgassing. Cascade’s control logic understands how our customers use the oven and makes sure the controller responds to certain process events to keep the temp on track. To that end the temperature probe is INSIDE the oven, providing accurate, even, stable temps throughout – making accurate use of every inch of shelf space. Clients use Cascade’s line of vacuum ovens to help products achieve a desired consistency, or pass inspection for cleanliness. In bio-pharma applications, the removal of medical grade solvents using Cascade’s vacuum ovens can help make a product fit for human ingestion. Cascade vacuum ovens are also used to simulate the vacuum of space for aerospace and satellite applications. Contact us for expert direction on selecting your vacuum oven by dialing extension #1.